our lyric sing-a-long setlist right on your phone! SING ALONG WiTH US from your phone the 3 B’s! Nashville comedian Steve Goodie, and mastering engineer, Steve Creech. 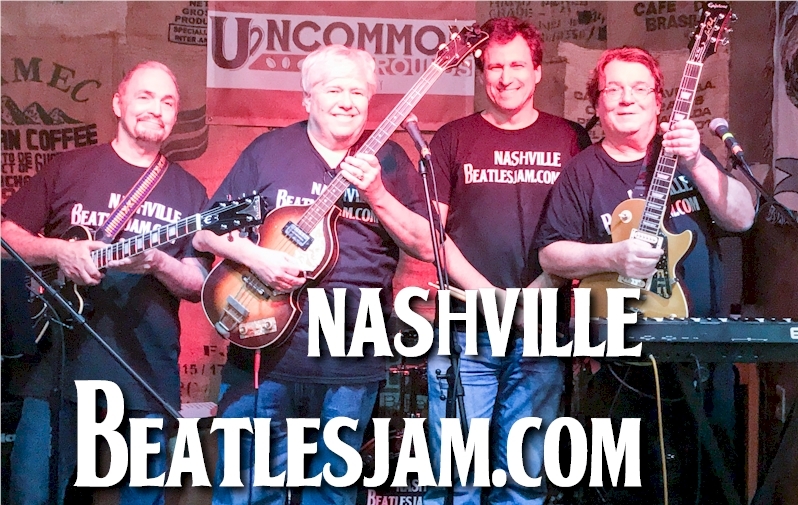 No else has this much fun music or recreates these famous concerts like the Nashville Beatles Jam. With SMS technology, patrons simply dial a local number, and the singalong lyrics, promos for the venue, or anything that is digital is delivered instantly to the cell phones in the hands of everyone on social media anyway. It is fun, followup marketing, and innovative. We don’t look like the Beatles, but we love to perform those great songs and the hits we were apart of in the past. A splendid time is guaranteed with a fun evening of singing a long with seeing the setlist and the words at their fingertips. Not your ordinary tribute band, but jam session in your seat.